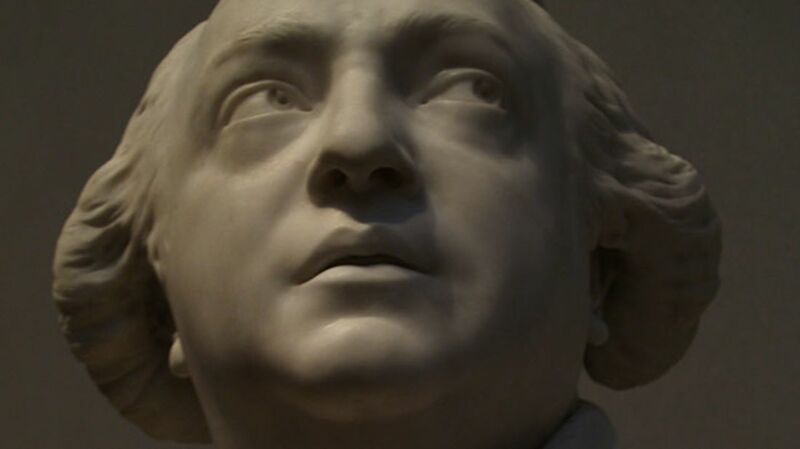 Occultist, Charlatan, Adventurer—Who Was Count Cagliostro? Alessandro Cagliostro achieved immortality in all kinds of ways: through opera, as a screen villain, even as a font. The occultist Aleister Crowley claimed that Cagliostro lived through him, as one of his own earlier incarnations. And while Cagliostro may have preferred to obtain immortality the simple, old-fashioned way—not dying—little about the man was ever that straightforward. Of course, Count Alessandro di Cagliostro wasn’t even real himself. His title was completely spurious, and his surname was lifted from a rich aunt and uncle. Instead, it was Giuseppe Balsamo who began life in Palermo, the seat of Sicily, on June 2, 1743. He was born to poor parents, though his mother claimed descent from Charles Martel, the medieval Frankish leader who halted the Umayyad Caliphate’s conquest of Europe in 732 C.E. Although his family was poor, Balsamo was reportedly bright, and as a teenager he became a novice with the Brothers Hospitallers of Saint John of God. This Catholic order devoted itself to medicine and service. It was here that Balsamo began to learn about pharmacy, though the monastic life did not suit him. After leaving the order (having either escaped or been expelled, depending on the source), he began to focus on a number of talents that served his less than above-the-board career choices. He studied art for a while, which helped his prodigious skill for forgery. He made a name for his knowledge of secret and sacred rites, which reinforced his reputation as a magician. And he began swindling people, including one incident in which he tricked a goldsmith into thinking he’d been attacked by demons while searching for buried treasure (in fact, Balsamo had robbed the goldsmith, and fled Palermo shortly after). Cut loose from the city of his birth, Balsamo began traveling the world, or at least around the Mediterranean. It was around then that he reinvented himself as Count Cagliostro, a student of mysteries and alchemy, once an orphan named Acharat in the holy Muslim city of Medina. He claimed to have spent time in Egypt with a mentor named Althotas, who allegedly led alchemical experiments, sought out mystic local rites, and became a Knight of Malta with Balsamo (the details vary depending on the account). Allegedly the pair also traveled as far as Mecca, Ethiopia, and India to learn the arcane arts. In 1768, Cagliostro reappeared in Rome and became secretary to Cardinal Virgilio Orsini, of an illustrious family. That same year, Cagliostro married Lorenza Feliciani, who preferred to be called Serafina. As it turned out, she also had a gift for scamming people, and the pair became trusted partners in a number of confidence tricks throughout their lives. Some claim that the couple left Rome because they attracted the attention of the Inquisition. Either way, they continued Cagliostro’s earlier travels, performing séances and selling elixirs. In Paris, Cagliostro was welcomed with open arms and supposedly recommended as Benjamin Franklin’s personal physician. In Russia, Catherine the Great wrote scathing verse about their charlatanry. It was in London, however, on April 12, 1776, that Cagliostro was initiated as a Freemason, which began his period of greatest notoriety. Cagliostro is credited with co-founding Egyptian Freemasonry the early 1780s. The sect is supposedly based on the rites of the ancient deities Isis and Osiris, and features extensive death and rebirth imagery. Wolfgang Amadeus Mozart’s The Magic Flute draws strongly from this theme, and some music historians have linked the opera’s wise mystic Sarastro, who triumphs over the Queen of the Night, to Cagliostro. Most importantly, the Egyptian Rite became huge in France, where Cagliostro became immensely popular with the nobility. In 1785, it all came crashing down. Accounts of Cagliostro’s level of involvement differ, but ultimately the occultist became tied to an incident in which a con artist convinced a cardinal to buy an enormously expensive diamond necklace on behalf of Marie Antoinette (the con artist actually had the necklace sold in London, and pocketed the profit). Cagliostro was arrested and imprisoned in the Bastille for nine months, though a trial could not prove he had any part in the matter. The Affair of the Diamond Necklace, as it became known, so soured the French public that many credit the scandal with contributing to the French Revolution a few years later. When Cagliostro was released, his troubles were not over. A muckraker in London publicly accused him of being Giuseppe Balsamo (which he was), with all his attendant past crimes and scams. Cagliostro noisily refuted the claims and earned a retraction. He then returned to Rome in 1789, but despite attempting to earn a living with his usual menu of magic, medicine, and communing with spirits, the Inquisition sniffed him out again. He was arrested that December, and sentenced to death, as Giuseppe Balsamo, for the crimes of freemasonry, heresy, and magic. (Serafina, meanwhile, was shuffled off to a convent.) The pope, however, commuted the execution to life imprisonment. After an attempted escape from the Castel Sant’Angelo near Rome, Cagliostro was sent to the Fortress of San Leo in the north of Italy. He died there on August 26, 1795, at the age of 52. One of the few people to interview Cagliostro’s (or Balsamo’s) family—people who had known him in life—was German cultural giant Johann Wolfgang von Goethe. During a visit to Palermo in 1787, Goethe tracked down none other than Felicità Balsamo, Cagliostro’s mother, who dispelled many of the myths Cagliostro had built up about his early life. Cagliostro had made a great impression on Goethe, for good or ill. Some scholars argue that Cagliostro serves as a model for Goethe’s seminal Dr. Faustus; others, however, point to a less well-intentioned deceiver in the literature—the devil Mephistopheles.